Dr. Rajinder Kaushal is a gastroenterologist who practices in Santa Clarita. He is board certified in internal medicine and gastroenterology. 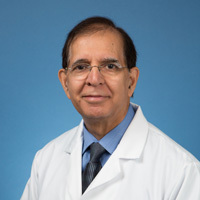 Dr. Kaushal earned his medical degree in India at Government Medical College Amritsar, and then completed his internship and residency training in New York at Mount Sinai Medical Center. He then completed a fellowship in gastroenterology at the Wayne State University School of Medicine.